*This post is sponsored by Sports Illustrated Kids. I received free product in exchange for this post. All opinions are my own. With Christmas right around the corner, many of you may be beginning your shopping. I have a fun idea to share with you today, that not only encourages READING, but will delight your little sports fans. When I was growing up, I received a few magazines in the mail each month, and I LOVED it! Let’s face it, we all love mail, and your child will love looking forward to receiving a new issue of Sports Illustrated Kids each month. 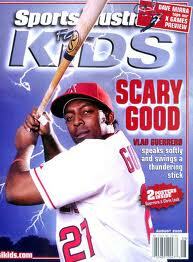 SI Kids is also a phenomenal way to encourage the more hesitant reader! If your child is reading something he/she is interested in, he/she is more likely to read more often! 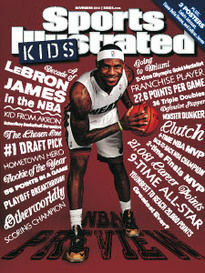 entire year of SI Kids in print and on tablet for $19.95, you can send a second gift of 12 issues (1 year) for only $5! To Take advantage of this INCREDIBLE offer, click the following link: www.sikids.com/gift.